Fulton will donate a portion of proceeds to Art Start, a partnership between Minneapolis Institute of Art and South Side Minneapolis Boys & Girls Clubs. Our 2017 show marks the 10th anniversary of ARTCRANK. 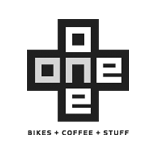 We’re going back through 10 years of Minneapolis shows to pick out a greatest hits album of bike poster art for what we hope will be our biggest and best show ever. SATURDAY, JULY 8 at the Fulton Production Brewery in Northeast Minneapolis. Fifty posters by Twin Cities artists. All poster prints will sell for $40 each ‘til they’re gone. Obviously, there’s going to be beer. And admission, as always, is free. Fulton will donate a portion of proceeds from beer sales to Art Start, a partnership between Minneapolis Institute of Art and South Side Minneapolis Boys & Girls Clubs. 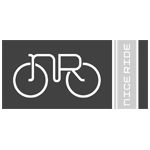 Sponsored by blackriver, the app for finding and sharing the best bike rides in the world. Bike parking services provided by provided by the Cultural Wellness Center's My Bike Project. Ride your bike to ARTCRANK, and we'll keep an eye on it while you enjoy the show. 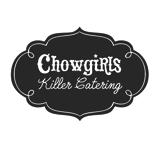 With a little help from Chowgirls Killer Catering and Northeast Minneapolis Farmers Market, our food truck corral is better than ever. 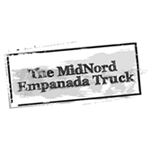 Food and refreshments by Hot Indian Foods, The MidNord Empanada Truck, Kramarczuk's, Red River Kitchen, Minnesota Nice Cream, and Minneapolis Tap Water. Artifex Wellness Center will have a massage table and chair to help you relax and unwind after riding to the show. Or just relax and unwind. 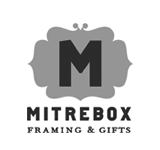 Once again, Mitrebox Framing Studio has a fantastic deal for framing ARTCRANK posters: $89 for a standard frame, or 20% off custom framing for all ARTCRANK MSP 2017 posters.